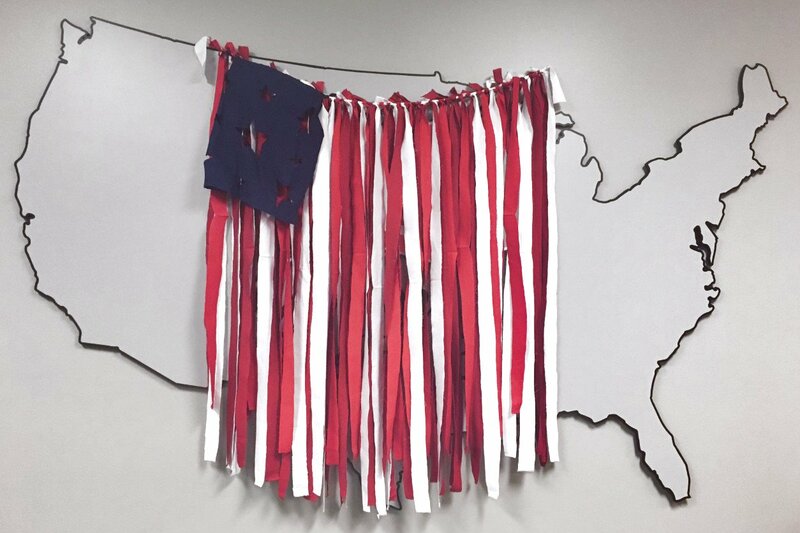 Want a trendy photo booth backdrop for your 4th of July party? Here are the details to make your Pinterest-esque dreams come true! Cut the red and white fabric into 2-inch wide, 5-foot long strips. Hang up the dowel or fabric, then tie all light red strips onto it with a double knot. Repeat steps 1—2 with the dark red, and white fabric. With a pen draw out stars on the blue fabric and then cut them out using fabric scissors. Tie (or safety pin) the fabric to the flag. Capture memories of this year’s celebration by taking photos with friends in front of your new patriotic photo backdrop.